Peek-a-boo I’m Blue! 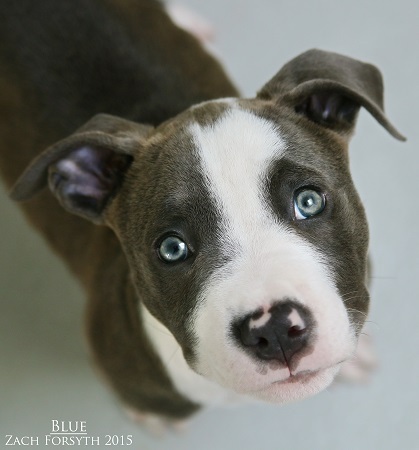 I’m a 10 week old male Pit Bull who is ready to play games, give kisses, and learn stuff. I promise to make you giggle as I wiggle into your lap and into your heart! Tee hee! I think I’m going to be a big guy when I grow up, so it’s super important that I get started on puppy classes now. So far I have made a lot of friends at Pixie Project and a loving family will be the perfect next step in furthering my socialization. Ideally my new family will be breed-experienced home owners who have patience and love to laugh! Are you just the folks for me? Fill out the adoption application so we can schedule a meet and greet. I am fixed, vaccinated and microchipped. My adoption fee is $300.